Picture it. Mt. Lebanon. 2018. I have a big work event coming up and I want some interesting, yet conservative clothes. Anthro can sometimes deliver brilliantly on professional attire. And sometimes it's a total dud. But I was leaving in three days so I decided to give it a shot. Tucked in the back corner, next to some delightfully smooshy and feminine comforters, I found this wrap skirt. It's so bright and colorful. Like... every single color ever. 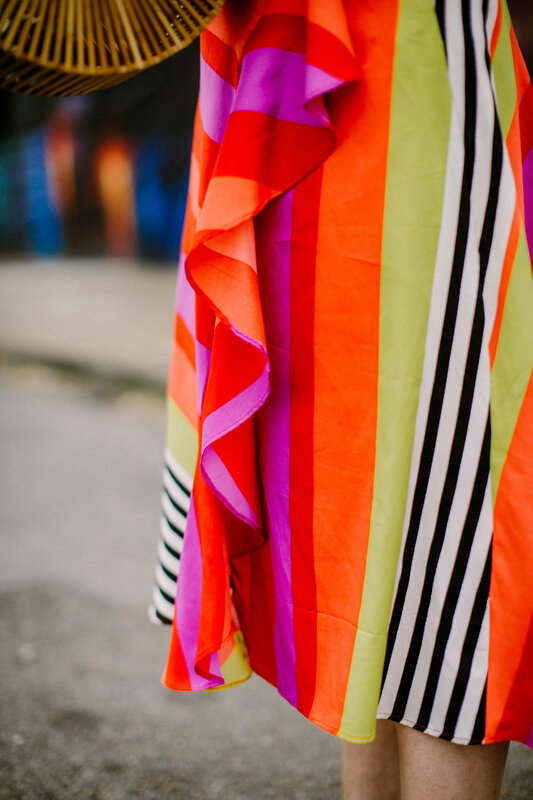 Maybe it was the bergamot swirling in the air or the creaking of the floorboards that lulled me into a trance, but I knew I was going to leave the store with this skirt. I can't help myself. 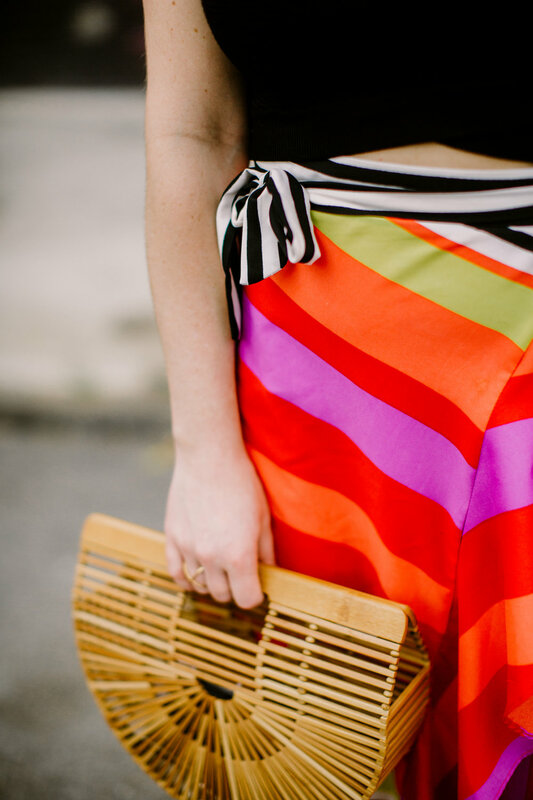 This skirt brings the rainbow out of my all black everything heart. Don't blame me. Anthro made me do it.